Built on a solid multidisciplinary foundation of humanities, social sciences, natural sciences, medical sciences, and engineering, Sun Yat-sen University is propelled forward by the continuous pursuit of academic innovation. The University is equipped with a globally aware outlook, and has dedicated itself to being an institution that is “comprehensive, innovative, and open”. The goal of talent cultivation is to nurture students who have both ability and moral integrity, able to cultivate charisma and eager serve their country. The guiding idea is to be oriented toward academic frontiers, oriented toward national major strategic needs, and oriented toward national and regional economic and social development. The basic approach is through the construction of big research teams, big platforms and big projects. The University is pushing forward the transformation from external development to internal development, the transformation from routine development to active development, and the transformation from advantages in humanities, social sciences, natural sciences and medical sciences to a university where humanities, social sciences, natural sciences, medical sciences and engineering can integrate and develop while retaining their distinctive characteristics. Now, standing at a new starting point, Sun Yat-sen University strives to foster an academic environment where all disciplines develop distinctively yet systematically, thus blossoming into an institution with influence and impact on a global scale. The living community on Zhuhai Campus is divided into Li Yuan and Rong Yuan. Each department is convenient for living. International students live in No. 16 Li Yuan. Students can watch TV and play table tennis. 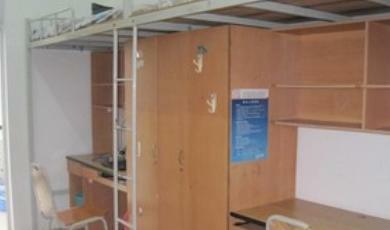 What students should pay attention to is that the room is open from 7:00 am - 23:00 pm. Students are not allowed to hold a meeting there. Students can apply at the Dormitory Administration if they want to use the room. Each dormitory building is administered by two staff members. Those who are not living in the building should register when they enter the dormitory. Generally speaking, male students should get approval before they enter the female’s dormitory, vice versa. The dormitory building is open from 6:00 am - 23:00 pm, the closing time will be extended to 23:30 pm on Friday and Saturday night. Each dormitory has a potable water machine. Each month it provides 12 small bottles of water for free; otherwise students have to pay for the water. In fact, even during the hot summer, 12 bottles of water are enough. To refill the bottle, please go to the Dormitory Administration. There are parking areas for your bicycles next to each dormitory building. Because Zhuhai Campus is an open community, it is better to lock your bicycles to prevent them being stolen. In addition, there is a mail box next to the Bicycle Parking area. The Dormitory Administration will not collect your parcels. You have to collect by yourself at the North Gate. There are two main stair passages in each dormitory building. One is the regular passage and the other is the emergency passage. For your safety, please keep the emergency passage clean and clear. 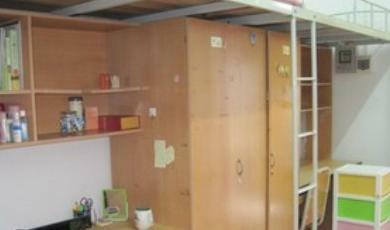 Each dormitory room is a four-person room with separated bathroom and balcony. You can buy a washing machine and put it onto the balcony if necessary. There are two internet access ports next to bed No.1, one is Campus Internet (CI) and the other one is ADSL. The CI is faster for getting access to the campus internet, but slower for non-campus server internet; the ADSL is faster for outside campus server internet, but slower for the campus network, especially when selecting courses with the campus dean’s system. For your safety, it is prohibited to use power appliances, such as the Air-conditioner and electric stove; if used, you will face serious punishment. You have to pay the bills for water and electricity each month using your Campus Card. The hot water for bathing is providing from 6:30 to 23:30. The water costs 20 yuan/ton. If your dormitory’s lights or fans or locker are broken, you can report to the Dormitory Administration. The relevant department will send staff to repair, but you have to pay for the materials necessary to repair. There will be a billboard in the dormitory’s lobby for promotion posters, notices, and bills for water and electricity. The promotion posters and notices posted up on the billboard should get approval from the relevant department first and the Dormitory Administration should be informed. Daily trash must be packaged and placed into the trash container. The Office for International Students’ Affairs (ISO) is the office for international students at Sun Yat-sen University. The office takes responsibility for enrolling students, conducting foreign affairs, assisting students in getting necessary documents or visas, electronic registration for degree students’ diplomas, collecting and submitting students’ data, granting and evaluating scholarships, conducting annual reviews for the Chinese Government Scholarship, helping students to claim medical insurance compensation or requesting the medical insurance company to reimburse students (at present, Chinese Government Scholarship students only) and organizing trips or recreational activities during holidays or vacations. It also coordinates with the Dean’s Office/Dean’s Office of Medical Education, the Graduate School, the Office for International Student Dormitories and other related departments in other work and activities including teaching, probation, practice, accommodation, meals, and so on. The Guangzhou South Campus covers an area of 1.21 square kilometers. This historic campus is home to natural sciences, humanities, and many other disciplines. 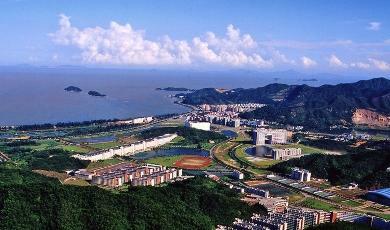 The Shenzhen Campus is located in Guangming New District, Shenzhen and covers an area of 3.217 square kilometers. Set to open in 2018, the campus will host a large range of disciplines. Step 6. For instructions on mailing required documents, please refer to the Admission Requirements. All mailed materials should be in duplicate. 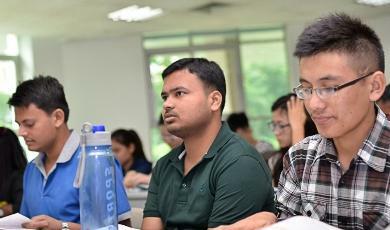 Tuition: RMB 17, 400/person/academic year; RMB 8, 700/person/semester. Learning Materials: According to the book prices. Tuition Fee: RMB 3,800/per month; Registration Fee: RMB 400. Note: The monthly bills for running water, electricity, telephone and the cabled TV, as well as the deposit are not included in the room rate. 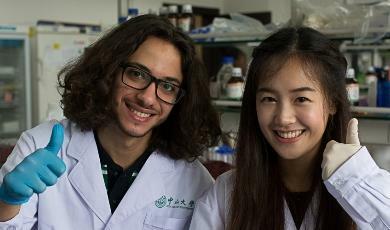 Note: The full listings of application requirements for scholarships are available here: Office for International Students’ Affairs: http://iso.sysu.edu.cn/ “Scholarship”.